My new book on IBS, co-authored with dietitian Julie Thompson, was released in November 2017. It’s called IBS: Dietary Advice to Calm Your Gut, and is available for on Amazon both in print format – and in ebook format too. Up to 20% of the population have Irritable Bowel Syndrome, which often results in discomfort, pain, embarrassment, and social withdrawal. With a positive, can-do approach, this new book guides the reader through all the key evidence-based advice on managing IBS — especially in relation to diet. • Diagnosing IBS — could it be something else? 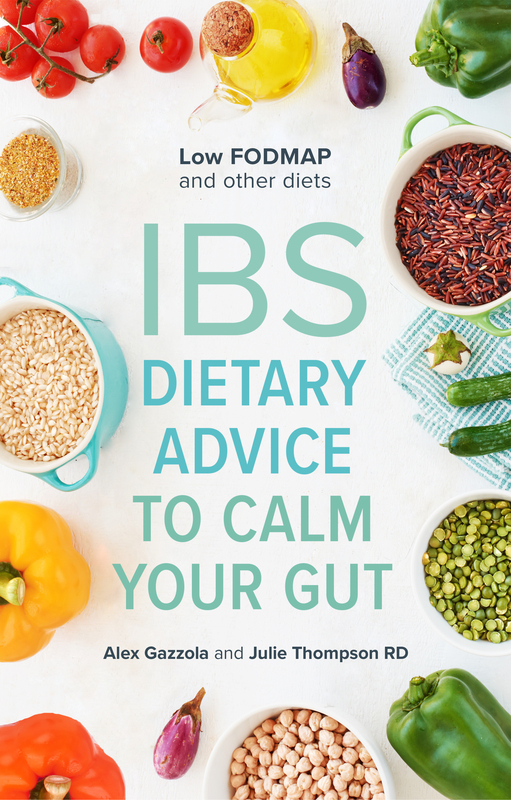 • IBS triggers — FODMAPs and beyond! With added recipes, useful addresses / websites, a listing of specialist food producers, and much more besides, this essential guide will empower and equip all those with IBS to live life to the full. For more information, see the book's dedicated page on the Allergy Insight website. 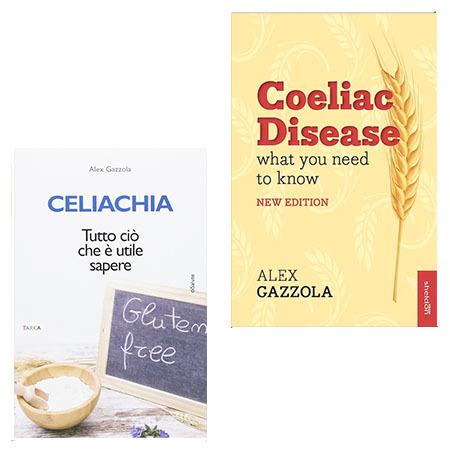 My most successful book, Coeliac Disease: What You Need to Know, was first published by Sheldon Press in May 2011, and was shortlisted for the Guild of Health Writers 2012 Writing Awards for Best Health Book. A fully revised edition was released in Spring 2015. The book is a concise guide to coeliac disease, which brings the reader up to date on everything vital and topical about the condition, including new food labelling legislation which came into effect in December 2014, recent research findings, and novel therapies in development – including enzymes, vaccines and helminthic therapies. The book covers testing, diagnosis, food labelling, diet and nutrition, family life, health issues and long-term well-being – including possible alternative causes for ongoing or occasional symptoms, such as FODMAPs. A distinctive feature is a chapter devoted to the emotional and psychological aspects of the disease – an area often overlooked. There is also a comprehensive resource section listing useful associations in the UK and worldwide, as well as other sources of information, such as blogs, social media, useful websites, magazines and much more besides. A kindle edition was reissued in Spring 2015. An Italian edition was released in May 2016. Click here for online points of sale in the UK and overseas. For more information, including some published reviews, see the book’s dedicated page on my website, Allergy Insight. 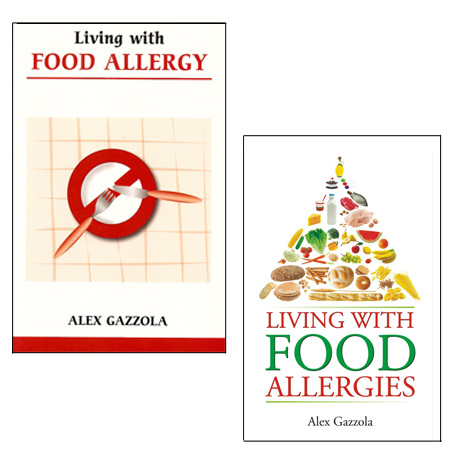 My second book, Living with Food Allergy, was released in August 2006. It covers severe reactions to typical culprits such as nuts, fish, milk, soya and eggs, as well as Oral Allergy Syndrome – a relatively new form of food allergy, linked to hay fever, characterised by oral symptoms to a number of raw fruits, vegetables, herbs, spices, nuts and seeds, and now the most common food-allergic phenomenon in the UK. Key sections of the book are devoted to: reaction management, medication, food safety, food labelling and cosmetic labelling, testing procedures, treatments, prevention, nutrition on a restricted diet and immune system health. There is also a chapter on coping emotionally and psychologically with serious food allergy – an often neglected aspect of the condition – as well as a comprehensive list of useful resources, including a reference guide to food families. In 2009, I adapted and updated the book for the Indian, Asian and African markets, and it was published as Living with Food Allergies, by B Jain Books, in May 2010. Both books are available through Amazon. For purchase internationally, see these links. For more information about the book, including reviews, see this page on the Allergy Insight site. 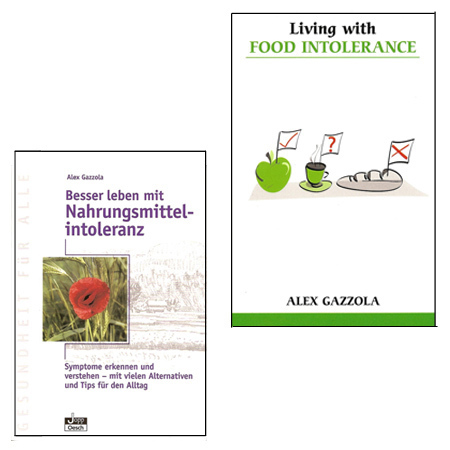 My first book, Living with Food Intolerance, was published by Sheldon Press in July 2005. It outlines the differences between food allergy and food intolerance, explains the digestive process, and describes what happens in the body when food causes intolerance problems, and the symptoms which may result. It offers practical support, advice and solutions to help sufferers cope with and recover from their condition. Key chapters are devoted to: the distinction between allergy and intolerance; symptoms, tests and diagnoses; wheat and gluten; eggs, dairy products and lactose intolerance; yeasts and sugars; chemicals and additives; food aversions; management and cure; and staying well. There is also a comprehensive resources and information section. A German edition, Besser Leben mit Nahrungsmittel-Intoleranz, was published in September 2006. An English audiobook edition was released in July 2009, and a Kindle edition in March 2011. Almost 5,000 copies have now been sold, across all formats. Links to online points of sale, both in the UK and overseas, and for all formats and versions, can be found here. To learn more, see the book's dedicated page on my blog.